At 13, she became the world's youngest psychologist. 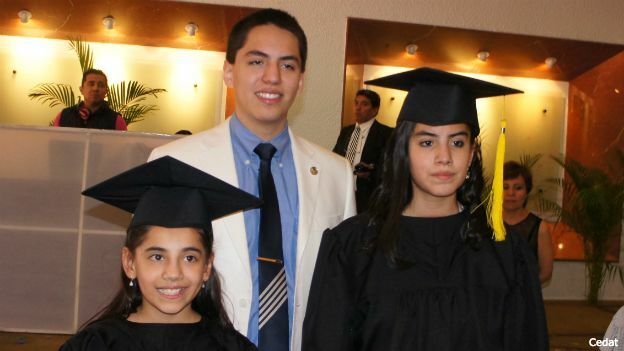 Now, at 17, Mexicana Dafne Almazán is the youngest person accepted to Harvard graduate school in the last 100 years. Dafne Almazán Anaya is "super-gifted." At 3 years old, she could read and write, by 7, she had finished high school, at 10, she became the youngest student in Mexico to enroll in university. She graduated just three years later, becoming the world's youngest psychologist. Mexico's youngest and brightest also plays piano, violin, and guitar, practices taekwondo and kempo, and speaks English, French, Latin, and Mandarin, which she also teaches. "[I want] to be able to help children, so they don't suffer [through school], and show them that they too can accomplish many things." Dafne comes from a family of prodigies; her older brother was the world's youngest psychologist before her, and her sister is highly gifted as well. Her parents founded Cedat, a center to serve super-gifted children, of which there are an estimated 1 million in Mexico. The center, where Dafne teaches, helps identify these super-gifted kids, who are often misdiagnosed as ADHD, and provides accelerated education, as well as arts and sports.